Chances are I’ll be losing power before long, thanks to a certain hurricane. 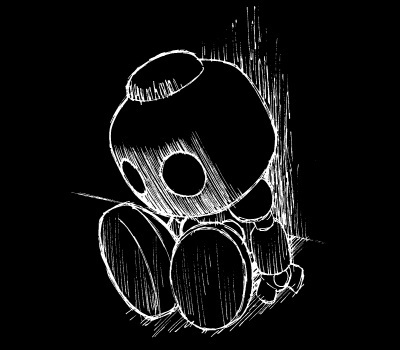 What will I do without electricity? (Besides continue to not update this blog?) 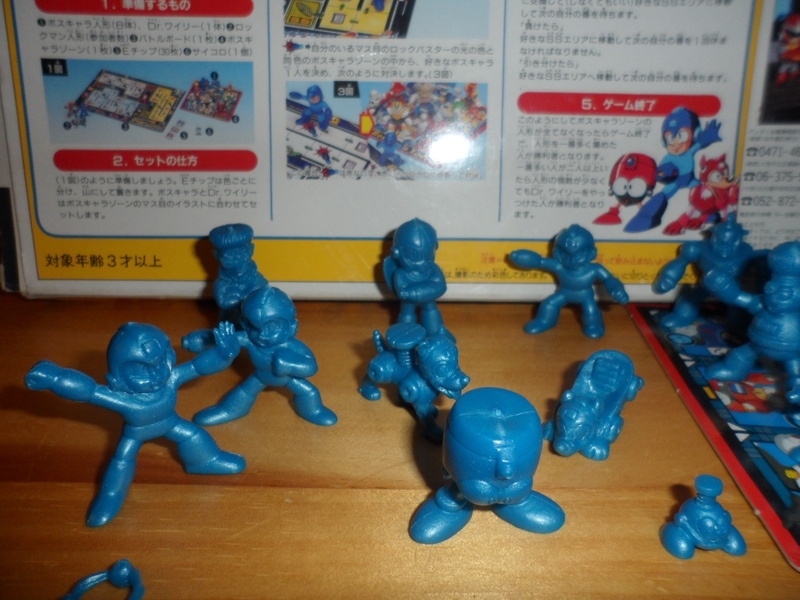 I’m not sure, but maybe I’ll play a little Rockman. This is the Rockman Collection Box 20. 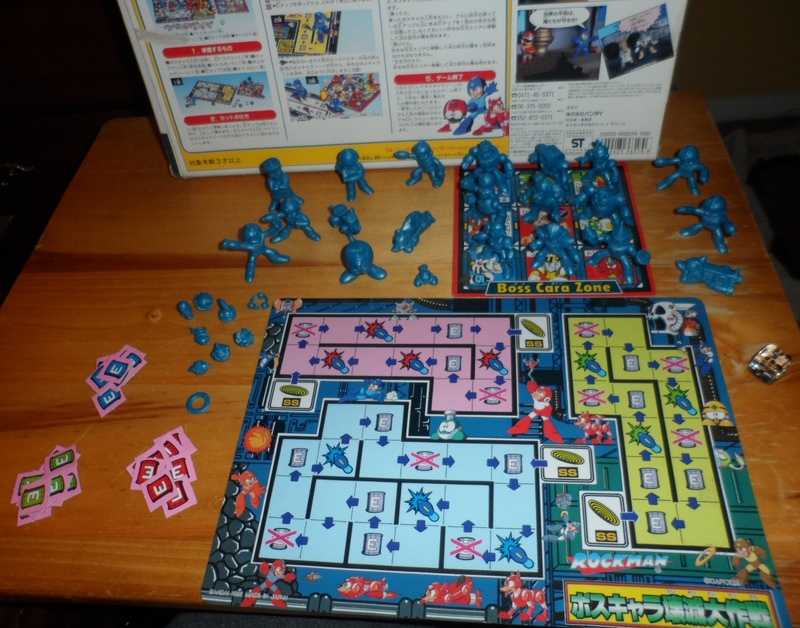 Yes, the same one that Rockman Diorama World was advertising, and also where I got my last post’s picture from. 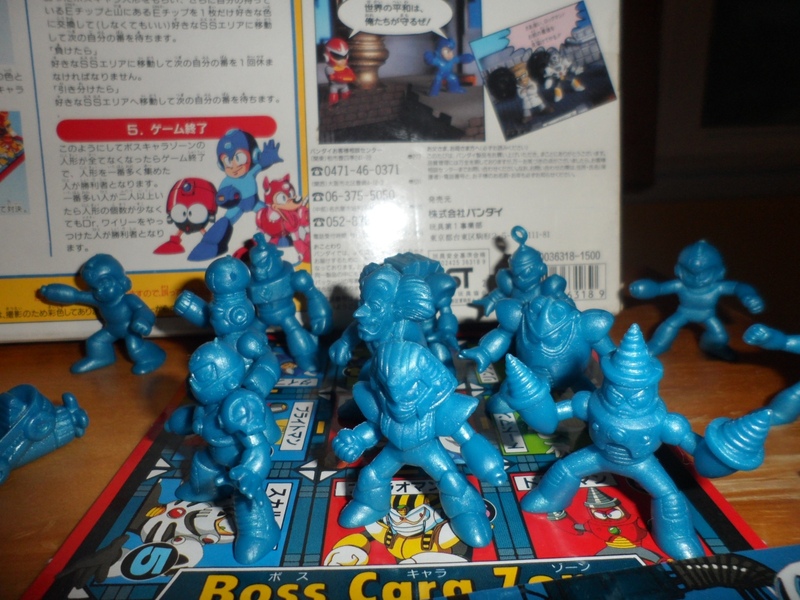 Part figurine set and part board game, it’s a fun little relic from the time when Capcom was really just starting to pimp Rockman out as a brand. I might be playing this by candlelight tonight–and if my house is still standing by the end of the week, maybe I’ll post a bit more of it. 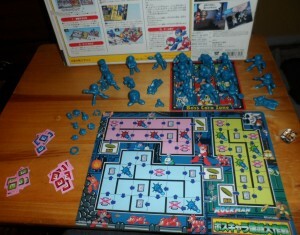 6 Comments to "For a rainy day"
That’s a pretty neat game, it’s rare to see a board game with figurines that large! That’s probably true. I get the feeling the figurines were supposed to be more of the draw, and the game was more of an afterthought of throwing in something to actually do with them. For the purpose of playing the game, most of the figures aren’t even used. Funny, but the most appealing one to me is the Rush Marine… and maybe the Coil.